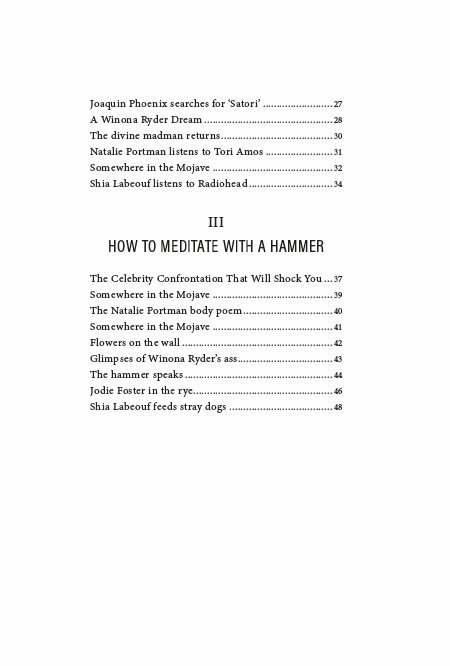 Celebrity Sadhana, Or How to Meditate with a Hammer is a series of poems aimed to imagine meditative moments from the 'sadhana', spiritual practice, of Hollywood's elite. 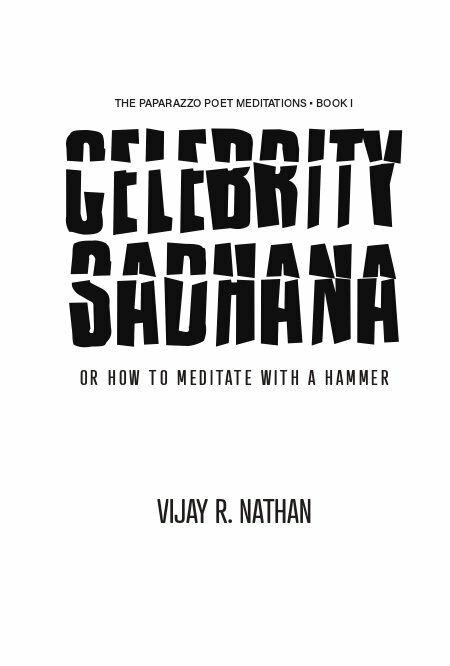 Vijay R. Nathan builds on the wisdom traditions of the East to bring the hammer down on complacent notions about what it means to be spiritual in today's world. 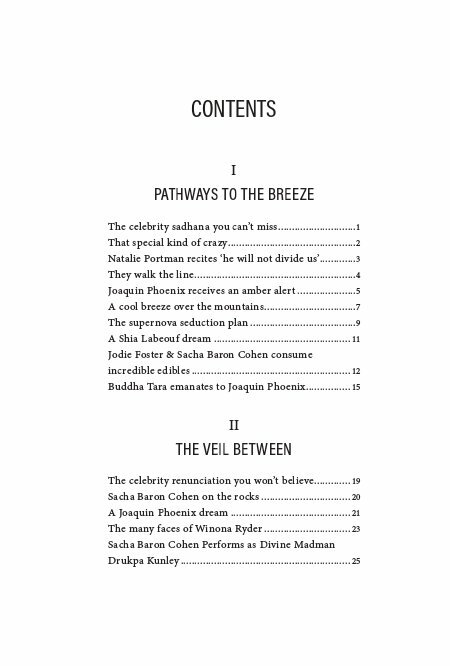 The author's previous work includes: Escape from Samsara, a collection of free-verse poems, that Kirkus Review found " genuine and compelling, blending spiritual questioning with an engaging humor and using language that is by turns down-to-earth and lushly suggestive" . 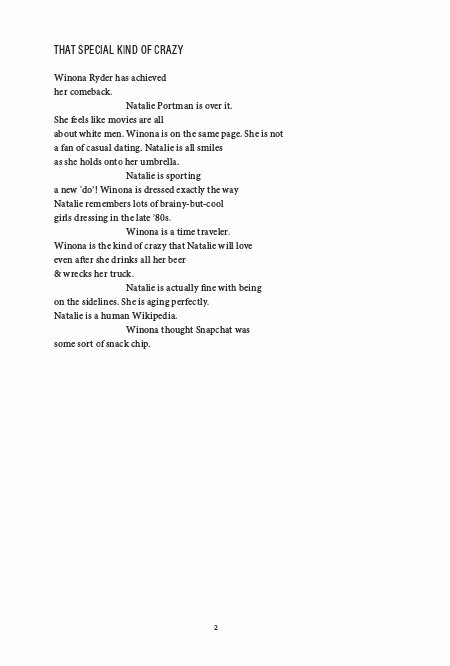 Vijay R. Nathan, aka the Paparazzo Poet, is a avid follower of celebrity stories and enjoys watching big budget popcorn movies. He has been studying Buddhist philosophy for the past decade. He has visited Tibetan monasteries in northern India, Zen temples in Korea, and Theravada wats in Thailand. 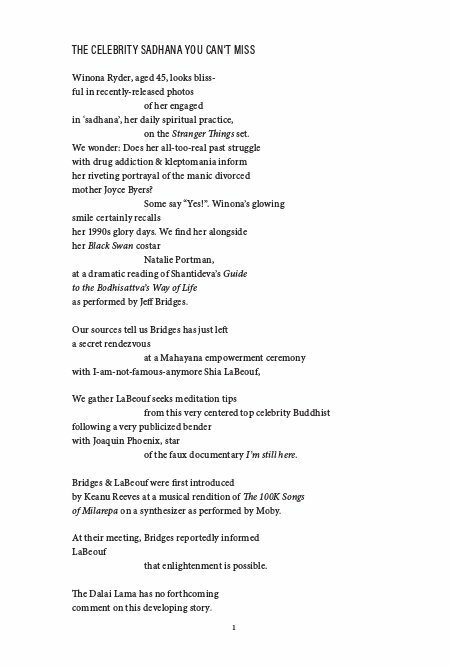 He has received Buddhist teachings in Ulverston, United Kingdom. He is the host of the web series "The Truth to Power Show" on Radio Free Brooklyn.